Dr. SaKong is the founder and Chairman of the Institute for Global Economics (IGE), a private non-profit research institute based in Seoul since 1993. He served in the government of the Republic of Korea as Minister of Finance (1987-1988), Senior Secretary to the President for Economic Affairs (1983-1987), Ambassador for International Economy and Trade (2000-2002), Special Economic Adviser to the President (2008-2009), Chairman of the Presidential Council on National Competitiveness (2008-2009), and Chairman of the Presidential Committee for the G20 Summit (2009-2011). 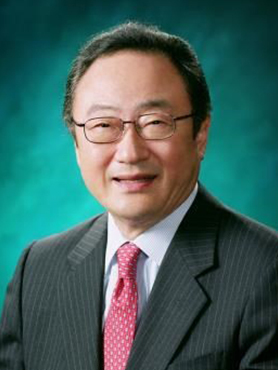 He also served as Special Consultant to the International Monetary Fund (19891998) and Chairman of the Korea International Trade Association (2009-2012). Before he served the Korea government, he spent nearly 10 years (1973-1982) at the Korea Development Institute (KDI) which is the leading economic think tank for the Korean government. He has received various honors and prizes, including the Korean government’s highest Order of Civil Service Merit “Blue Stripes (1990) », the Korean government’s highest Order of Civil Merit “Mugunghwa Medal” (2012) and 2nd highest “Moran Medal” (1983), the Republic of China’s Order of the Brilliant Star with Grand Cordon (1987), the Kingdom of Belgium’s Order of the Crown (1986), Korea University’s Grand Prize for Distinguished Policy Makers (2002), the Outstanding Achievement Award for 2008, the Korean Association of Translators & Interpreters’ Speaker of the Year (2009), and the Proud UCLA Alum Award (2010). Dr. SaKong graduated from Seoul National University (1964) and received his MBA (1966) and Ph.D. (1969) from the University of California at Los Angeles. He taught economics at New York University (1969-1973).